Minnesota Vikings cornerback Xavier Rhodes got a nice contract extension today and took to social media to react to it. 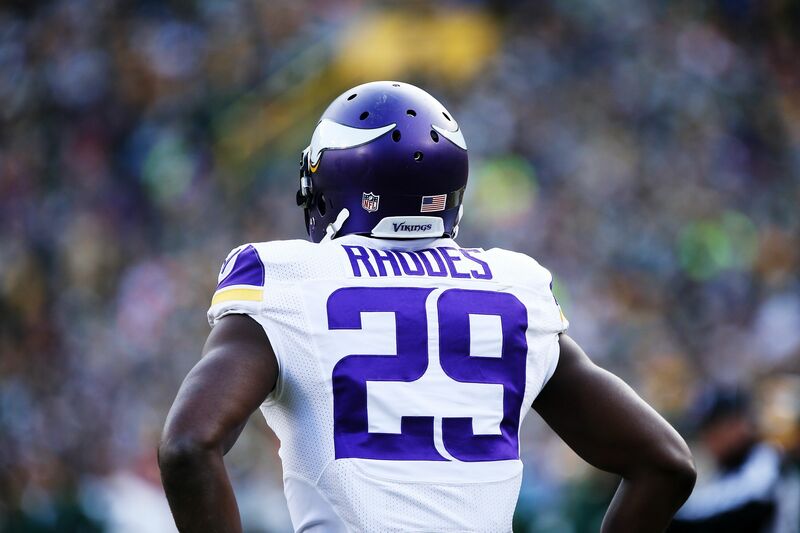 It’s a good time to be Minnesota Vikings defensive back Xavier Rhodes. Rhodes made his first Pro Bowl of his career last year, registering 44 tackles and recording five interceptions and returning one back for a touchdown. Rhodes was the Vikings first round pick back in 2013 and became a starter the year after. He was set to make $8 million this year since the Vikings picked up his fifth-year option before the season. He was set to be a free agent after the season is over, but instead, he’s going to be set for life. He also got a $12 million signing bonus. Not a bad payday for signing your name on a piece of paper. Rhodes will be the third highest-paid corner in the sport behind Trumaine Johnson of the Rams, who’s playing under a franchise tender, and Washington Redskins corner Josh Norman. Rhodes took to twitter to celebrate. The bank account done caught the Holy Ghost!!!!???? He’s going to need a few bank accounts for all the money that he just got, maybe a nice mutual fund or two. The Super Bowl this coming season is set to be in Minnesota. The Vikings hope that Rhodes is a big part of a defense that hopes to be the first team to play a Super Bowl on their home turf. If not, Rhodes will certainly have enough money to have a boat or two at the Port of Miami.